Expedia has some amazing Izmir City Centre travel packages Bundling your bookings is one of the easiest ways to save time and money — and get your adventure off to a great start. You don't need to search a bunch of different websites to secure your travel bookings. With more than 400 partner airlines and 321,000 properties worldwide, our international database has got it all. Don't worry about altering your family's vacation plans, as we don't charge additional cancellation fees for almost all of our reservations. Getting ready to go on your Izmir City Centre vacation? Not sure what sort of things to add to your travel program? Don't fret — we'll give you a few handy hints. Rest assured, there'll never be a moment where you're bored in Izmir City Centre. From here it'll be easy to access truly incredible attractions. 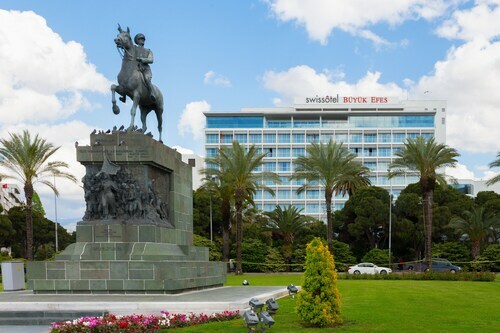 Iconic and unforgettable, the Saat Kulesi and Konak Square are sure to amaze. Pull on those walking shoes and leg it to Agora and Kadifekale. These well-known attractions are just minutes away and ideal for whiling away a few hours. Kulturpark is a lush haven that's easily accessible from the main downtown area. After an exciting morning of exploring the sights, wind down under its shady trees. Visitors have a wonderful selection of things to do in this destination. If you've got a curious spirit, head on over to Ataturk Museum. You never know what you will learn here! Still have some time to spare? Enjoy a lazy walk by the water at Izmir Harbour and discover how many types of boats you can name. Boasting charming sea views, it's a popular stomping ground for sailing buffs. 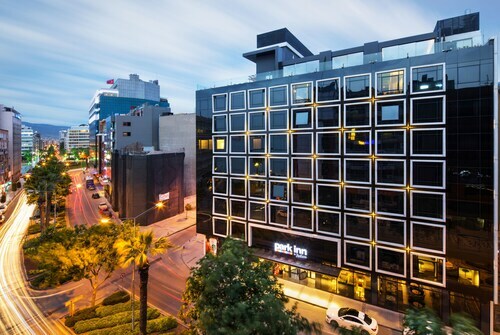 With a wide variety of accommodations available in Izmir City Centre, you'll always be able to find one that's ideal. Cheap vacations and luxury getaways — Expedia has got your back. 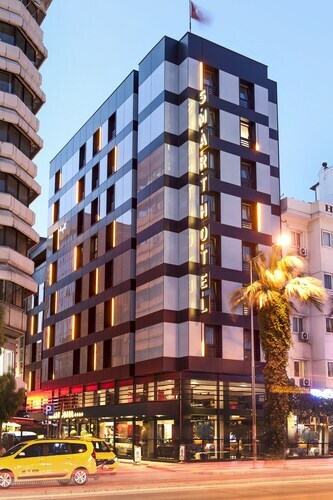 If you need to watch your bank balance, why not take a look at budget accommodations such as the Hotel Zeybek (Fevzipasa Bulvari 1368 Sok) and the Alican Hotel (Fevzipasa Bulvari 157)? Both come with great reviews! If Champagne and caviar are more to your tastes, pack your designer luggage and be wowed by the Key Hotel - Boutique Class (Mimar Kemalettin Cad. 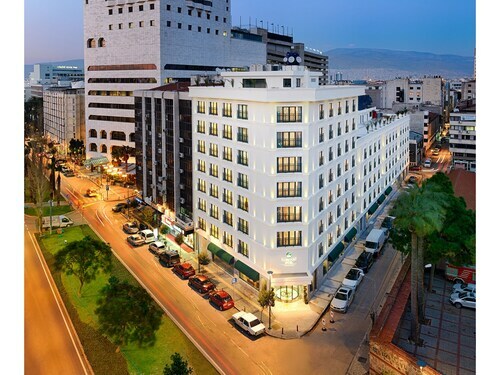 No:1 Konak) or the Swissotel Buyuk Efes Izmir (Gaziosmanpasa Bulvari No 1). 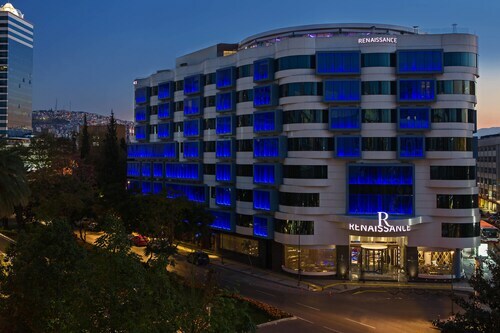 The Kordon Hotel Pasaport and the Renaissance Izmir Hotel are excellent options if you're going to visit the Saat Kulesi. Both are within strolling distance, so you won't have to waste precious time on complicated or expensive public transportation options — just slip into your walking shoes! Got a flight to Adnan Menderes Airport (ADB)? It's 9 miles (14 km) to the south of the heart of this area. 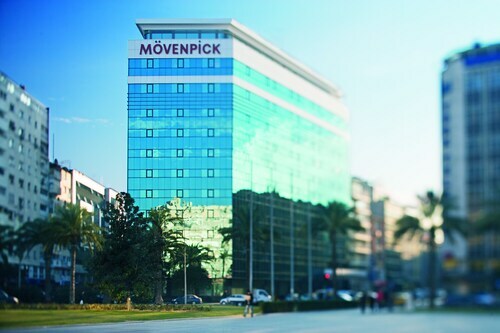 Time to collect your bags and get your trip to Izmir City Centre rolling! Good View and Location. The only problem would be, there are renovations going on in the front entrance so you have to use the rear one. Realy it is a five stars service and reception i enjoy staying in this hotel specially the location in the best point in Izmir. Very good location and staff.Friendly people and nice design. Convenient location, very clean, very good expresso coffee.